with surprise Guest Presenters and skyped in Instructors. H Larry Elman took the Dave Elman Course in Medical Hypnosis three times as a teenager and studied alongside physicians and dentists. He grew up hearing discussions of his fathers methods of hypnosis. Larry did a short stint as a stage hypnotist when he was a teen so he, too, had subjects on whom to practice. After 40 years in Aviation, a career in the Air Force, and as a College Professor, Larry has turned back to the “family” business. It is his passion to share his father’s Hypnosis Methods globally. Larry is a Certified Hypnotist and Certified Instructor. Since 2009, Larry has presented around the country at numerous Conferences, such as NGH, IHF, ACHE, IACT/IMDHA, MAHC, CHC, HypnoKongress and others. Larry and his wife Cheryl have taught in 16 countries on 4 continents, and is slated to add S. America (Brazil, in Marc). They have produced excellent quality DVD products teaching the methods of Dave Elman with Sean Michael Andrews (Don Patterson) and a bi-lingual course with Hansruedi Wipf (OMNI), which was filmed with both German and English tracks. Cheryl J Elman is President of the Dave Elman Hypnosis Institute, practices as a hypnotherapist, co-instructs, and is DEHI marketing force both domestically and abroad. Her unique background as an artist/teacher, HS Special Ed teacher, business/marketing executive and entrepreneur helps to build DEHI and adds creativity to her hypnosis sessions. She has a BS in Special Ed and Elementary Ed from Syracuse University, which has been an asset in her positions as both a Goulding Process of SleepTalk for Children Consultant (working with parents around the world), and as as an Accredited SleepTalk Trainer teaching the process to hypnotists, teachers, and other professionals. 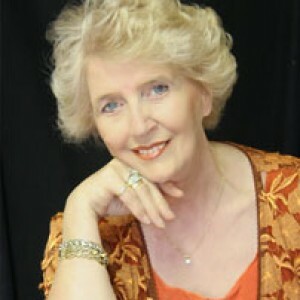 She is a Certified Hypnostist with NGH and IACT and a Certified Master Trainer with IACT and IMDHA. Her experience as an artist, a Director of Sales and Marketing, a teacher and trainer blends into a creative approach to teaching hypnosis and starting your business. Her enthusiasm and humor are energizing whether training or presenting at conferences including the NGH, IHF, the IMDHA/IACT, MAHC, HTL, CHC and in several cities in Europe and Australia and North America. DEHI: 9 Day Hypnosis Certification – Become Certified. we include much of Dave Elman’s highly successful Methods and Techniques. Topics covered through presentation, discussion and Daily Practice. 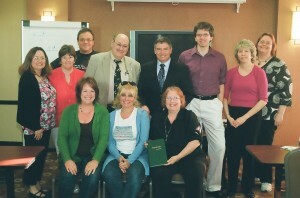 Study of some of Dave Elman’s methods through “Hypnotherapy” book & recordings of Dave Elman’s Medical Hypnosis Course. Payment Plans are available…Call Cheryl to Apply. LIMITED AVAILABILITY..SO SIGN UP TODAY! All payments must be received before you attend the course. * Lodging and Meals not included. Snacks, coffee and tea served daily. DEHI: 9 Day Hypnosis Certification – Become Certified.